It’s Christmas in Twilight, Texas. The Cookie Club is baking, the town is decorated, and Delta Force Operator “Hutch” Hutchinson has finally, reluctantly, returned home . . .
. . . only to get pepper sprayed by the delicious- looking stranger who’s taken over his house. She says her name is Jane, and she immediately sets down ground rules. Top priority: no touching. For Hutch that isn’t easy—he was wounded in action, but one part is still working very well. Then Hutch learns the truth. Jane harbors a frightening secret—she’s really Meredith Sommers, on the run from a dangerous ex-husband and desperately in need of the safety Hutch can provide. In that moment, he vows he’d do anything in his power to protect her. 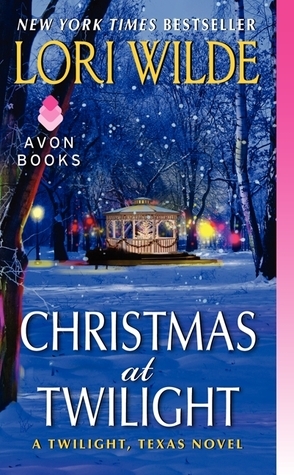 And as Christmas approaches, they discover that their love can conquer the past and overcome any obstacle—but what price will they pay? First off, let me say…you gotta love a Christmas tale with a happy ending. Once again, we visit Twilight, Texas and the Cookie Club. #5 in the Twilight, Texas series, but can be read as a stand alone. Fast paced with heart pumping excitement. Ouch, poor Hutch gets pepper sprayed right from the beginning. Meet Jane, aka, Meredith Sommers, who is on the run and has a secret. And “Hutch” Hutchinson, a Delta Force Operator, who was wounded in action. You see Jane, is living in Hutch’s house. Together, the two set down ground rules, number 1 NO TOUCHING! Well, of course, as things move along, Hutch is determined to keep Jane, safe at all cost. Fast paced, heart pumping, action in and out of the bedroom, passion,holiday spirit, grief, tragedy and the power of love. I think this was the best one, so far, in this series. Although, very emotional, but enthralling! A must read for anyone who enjoys Romantic Suspense. Ms. Wilde has a way with words, emotions that pulls the reader into the story and holds them in awe. An absolute delight!